Asbestos | Does the danger still exist? Help I think it might be Asbestos! We hear more and more about asbestos in today’s media and how it can be harmful (or even fatal) to the people that come in contact with it. That being said, if you are living in an older style home, you may be worried that your building contains some form of this harmful material. While we do not recommend you actively look for it (instead we advise you call a professional asbestos removal company) here are some tips that might help in detecting it. Asbestos is a name given to several fibrous minerals used in building materials that may be present in your home. These minerals were commonly used in fibro sheeting and other building materials between the 1950s and the 1990s. If your home was built during this time it is likely that at least some asbestos materials were used. It is important to note that not all asbestos materials are dangerous and the crucial thing is that you identify any possible asbestos before you undergo and building work or renovation. The two most common forms of asbestos in building materials are asbestos fibro sheeting and asbestos cement. Asbestos fibro sheeting is similar to modern day fibro sheeting, gyprock, plasterboard or dry wall. Its fire retardant properties along with high tensile strength and ultra-low manufacturing costs made it the go to material for home builders putting up walls. The fibro sheets would simply be nailed to the wooden framework of the wall and provide a cheap and reliable solution for cladding. 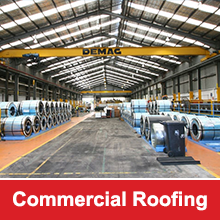 Asbestos cement was used in a large variety of walls, roofs and exterior linings. Below are some tell-tale signs of Asbestos in your home. Once you have identified possible asbestos materials in your home it is important to consult a professional. The only way to definitively identify asbestos is by examining a sample with a microscope in accordance with NATA standards. Asbestos materials are not immediately harmful if they are intact. The danger lies when the material is cut, broken or damaged and fibres are released into the air. If you inhale these fibres you are at risk of a host of medical conditions including lung diseases. 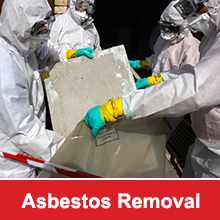 Play it safe, always consult a professional to identify your asbestos and then get the asbestos material removed.